Growing up in the southwest, I feel obligated to like empanadas. There’s just so many damn good variations of fillings one can cram into their flaky dough, that it’s almost impossible to not find something you’ll like. I know a lot of people who have really only eaten sweet dessert-type empanadas, pumpkin or pineapple being very common, but I’m partial to the savory fillings. I don’t know if I’d enjoy the common Spanish filling that includes green olives and hard-boiled eggs, but luckily making them in my own kitchen means I can fill them with whatever I’d like! 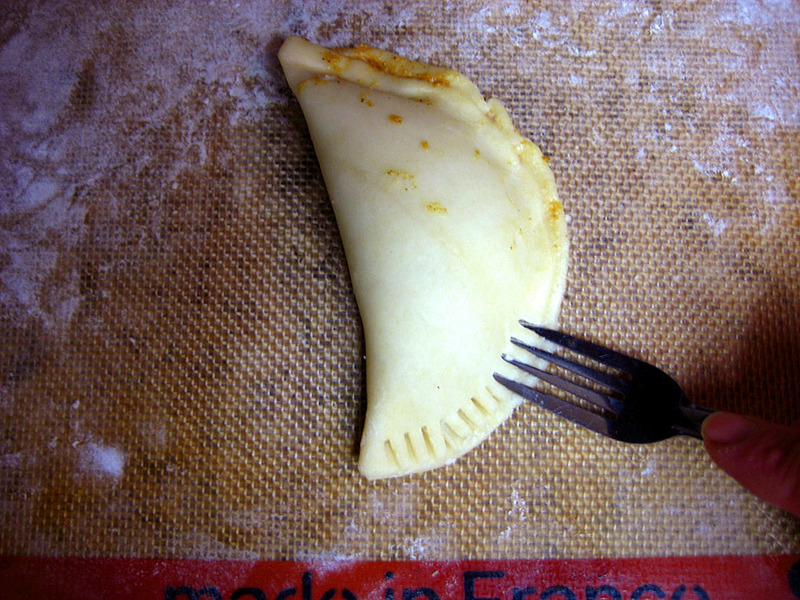 The fillings for empanadas are basically infinite. I started with the same dough recipe for both, and just changed up the fillings. Brainstorming ideas for what I could stuff the empanadas with yielded a whole list of tasty ideas, and I ultimately settled on a mixture of chicken, diced potatoes, red bell pepper, onion and garlic, all bound together by some sharp cheddar and salsa verde. Don’t do meat? Just increase the amount of potatoes in the recipe (or sub mushrooms or tofu for the chicken), and you’re all set. 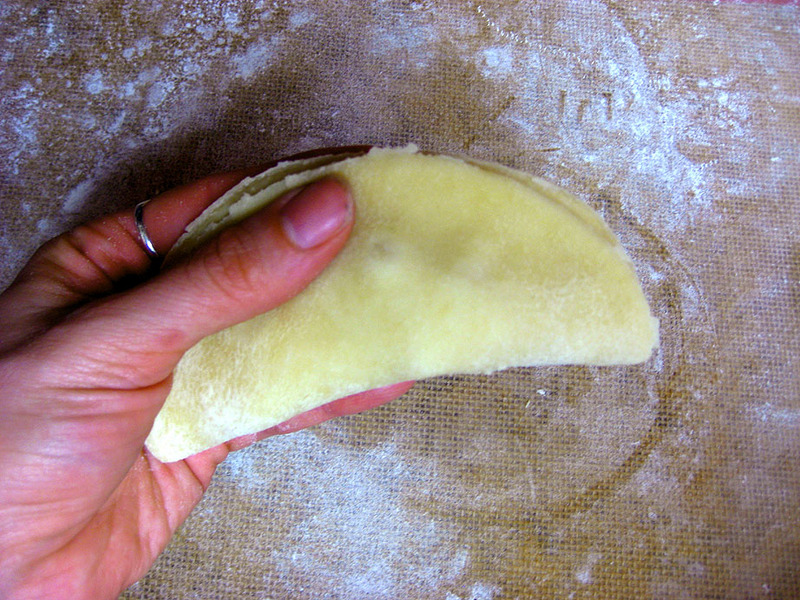 While quite simple to make, empanadas can be a bit time-intensive, so don’t say I didn’t warn you! They’re best made when the filling has had time to chill. A cold filling is easier to work with than a warm or hot one, cause the hot filling can start to melt the fat in the dough which can result in the dough tearing, which is no bueno. 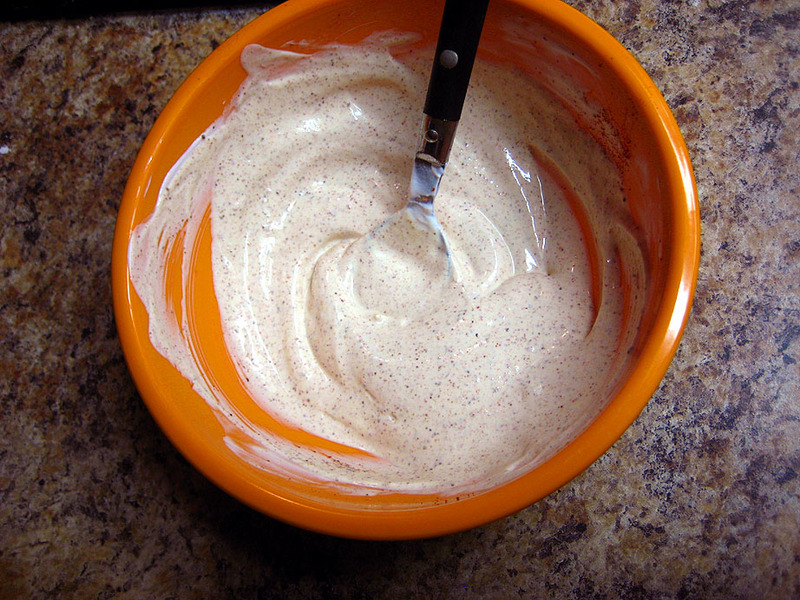 The pumpkin filling is very simple and the spices can be adjusted to suit your tastes. If you don’t like it as spicy as this recipe calls for, go ahead and halve the amount of cayenne pepper. I guarantee they’ll still taste great. 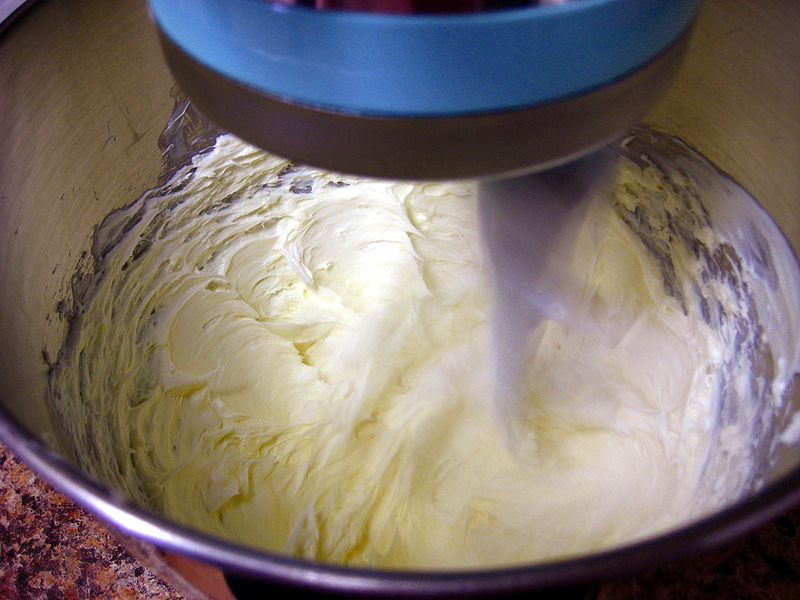 To make the dough, beat the softened butter and cream cheese in the bowl of a stand mixer until uniformly creamy and smooth. Stir together salt and flour in a separate bowl and add to the mixer bowl. On speed one, mix with the paddle attachment until the dough starts to come together, going up to speed 2 if the mixer seems sluggish. 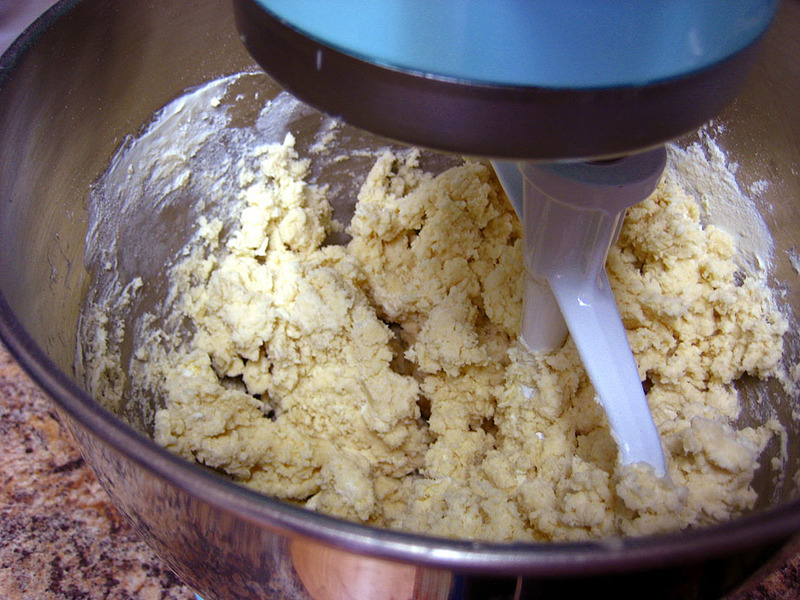 Mix the dough just long enough so that it forms into a rough, crumbly ball. Take the bowl off the mixer and using a spatula, fold the dough together to incorporate any stray bits of flour in the bottom of the bowl. Pat the dough together into a relatively smooth ball, flatten into a disk and throw it into a gallon sized Ziploc bag and chill for a few hours or overnight. If the dough is too firm to work with once you take it out of the refrigerator, leave it on the counter for an hour or so until it’s just pliable enough to work with, but still cold. Time to make the chicken filling! Begin by boiling the diced potatoes in some lightly salted water along with 1/2 tsp white or cider vinegar. The vinegar is optional, but it will guard against the potatoes falling apart once they’re fully cooked. We want cubes of potatoes, not mashed potatoes! 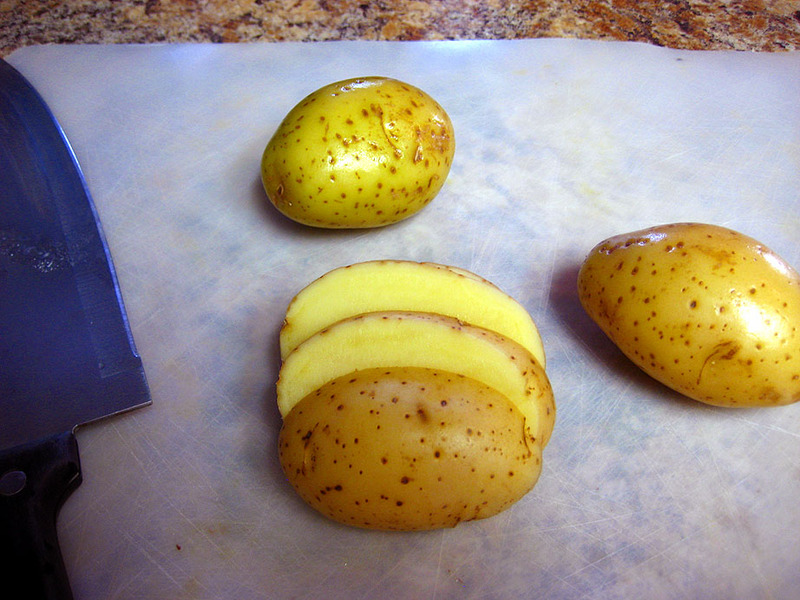 Put the potatoes on to boil for about 25-28 minutes, until they break apart easily with a fork. Drain the potatoes in a colander or large strainer and set aside. 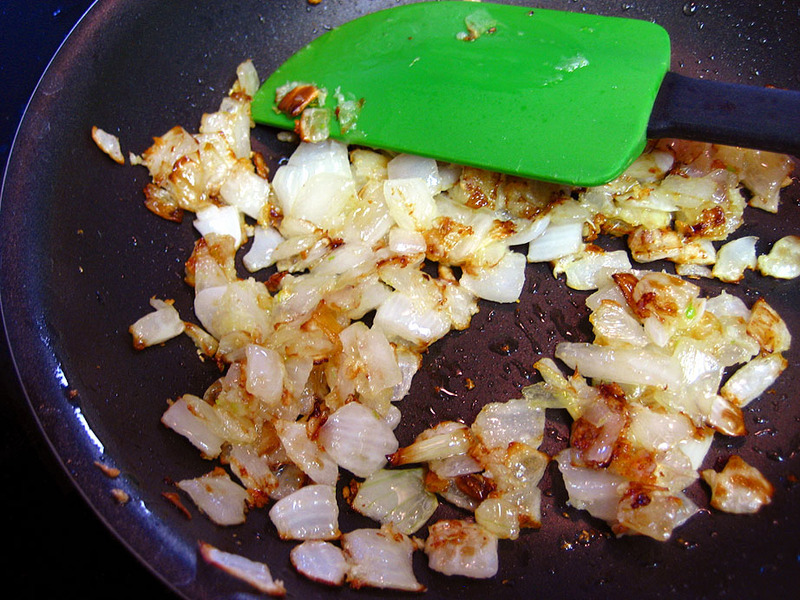 In a large skillet, heat 2 teaspoons of vegetable oil on medium-high heat. 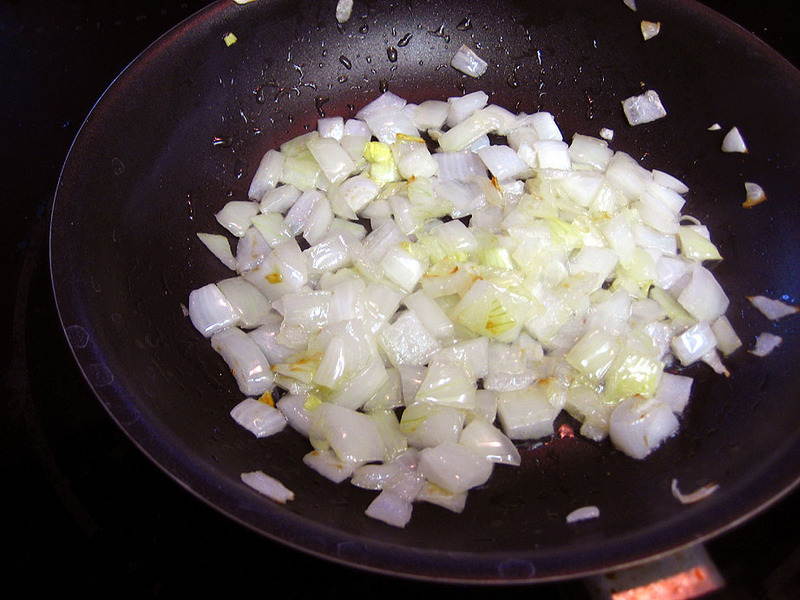 Once the oil is shimmering, add the onions and cook for 6-7 minutes, stirring occasionally until they’re translucent. Add the garlic and cook for 1-2 minutes more. Scrape the onions and garlic into a medium sized bowl and set aside while you cook the chicken. 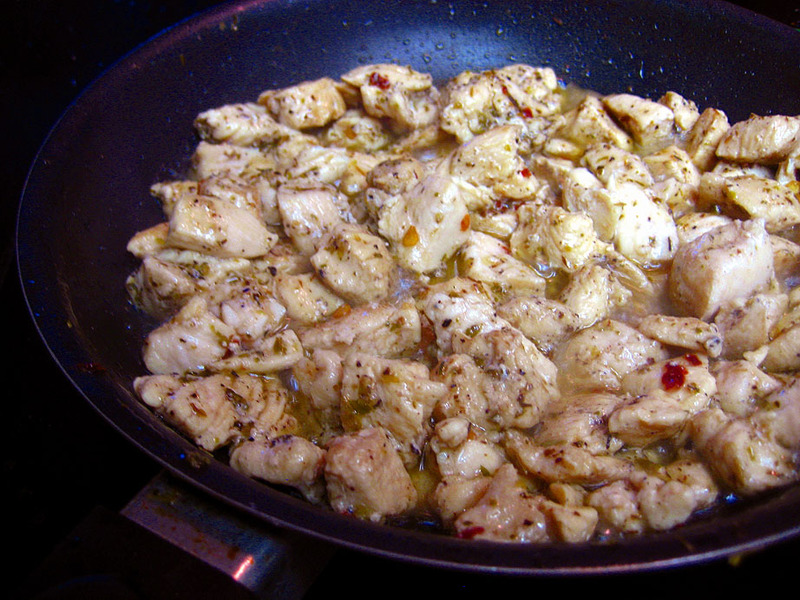 Using the same skillet, heat another tablespoon of vegetable oil and throw in the chicken pieces once the oil is hot. Cook the chicken on medium-high heat for about 8-12 minutes, stirring once in a while, until it’s just starting to brown and the pieces are cooked through. Add the salt, pepper, oregano, and chile flake and stir to combine with the chicken. Right before taking the chicken off the heat, pour in 1 tablespoon of white wine to deglaze the pan, stirring the chicken to get up all the browned bits. Dump the chicken and the cooked potatoes into the bowl with the onions and put into the fridge for several hours or overnight, until the mixture is fully chilled. Once the filling mixture is cold, stir in the chopped raw bell pepper, the grated cheese and the salsa verde. Stir to combine and put back in the fridge while working with the dough. When you’re ready to roll out the empanada dough, prep two sheet pans with parchment paper and set aside. Preheat your oven to 375 degrees and lightly flour a smooth surface (I like using a Silpat). 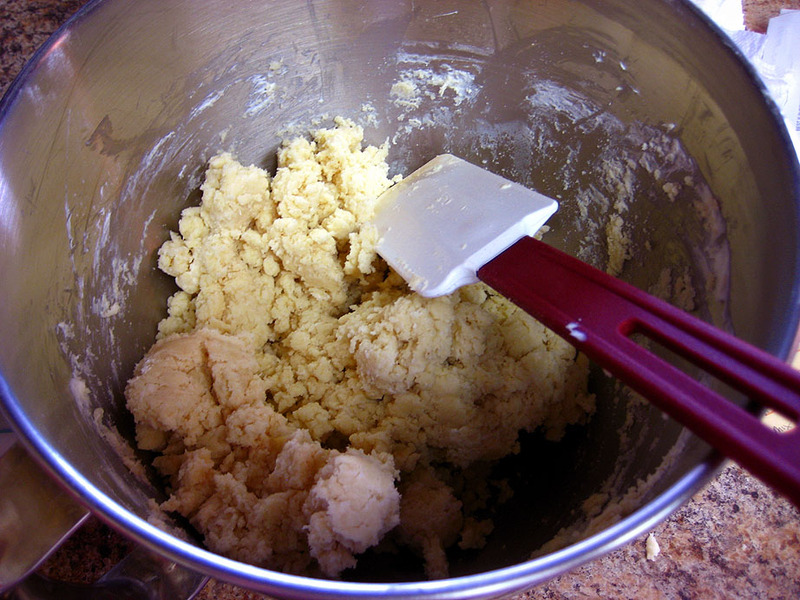 Cut the portion of dough in half, flouring both sides of the dough. Roll out half the dough at a time to about 1/4 inch thickness and cut out circles with a 5 inch round cutter. 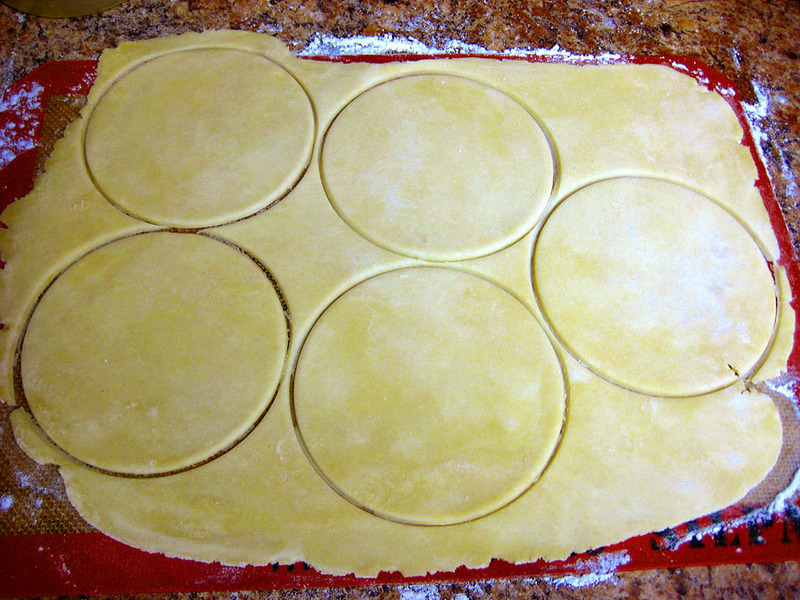 Cut the rounds out so that they’re very close together, to get the maximum number of circles from one roll of the dough. 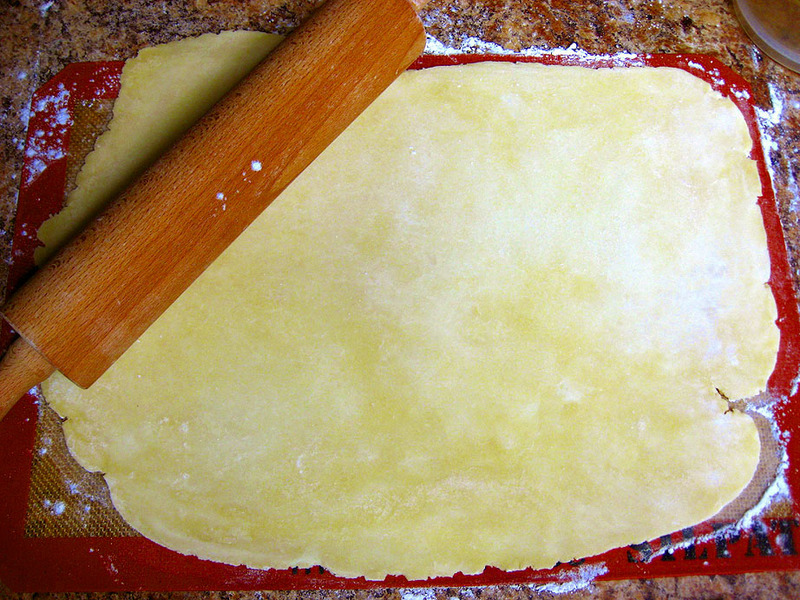 Save the scraps from the first half, then roll out and cut circles from the second half of dough. Once the second half is rolled out, combine the two bundles of scraps and roll them out again. Cut rounds from the scraps, and layer all the rounds onto one of the prepared sheet pans. On your rolling surface, take one dough round and spoon about 1-2 tablespoons of filling into the center of the round. 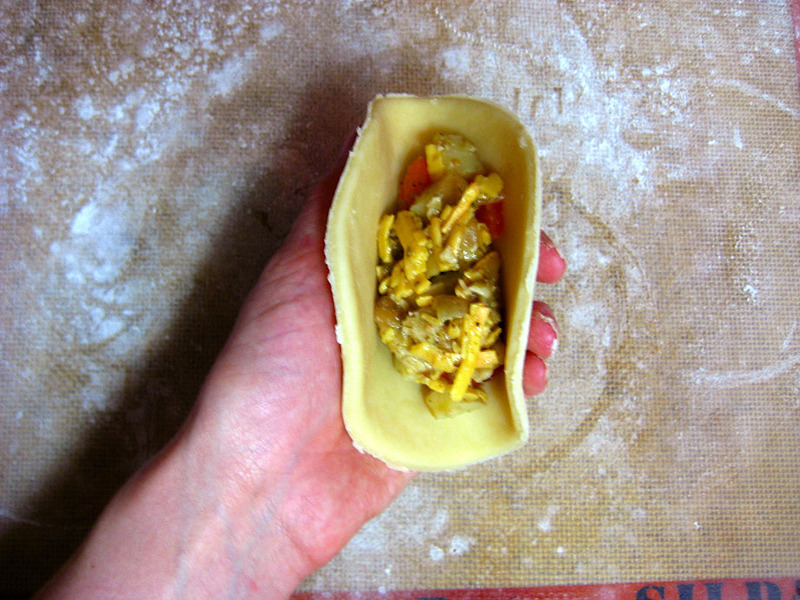 Scoop up the round with your hand, forming sort of a taco shape with the dough and filling. Brush one side of the dough edge with some beaten egg and pinch the dough edges together starting in the center and going down each side, making sure to get out any air bubbles that might be in the filling. 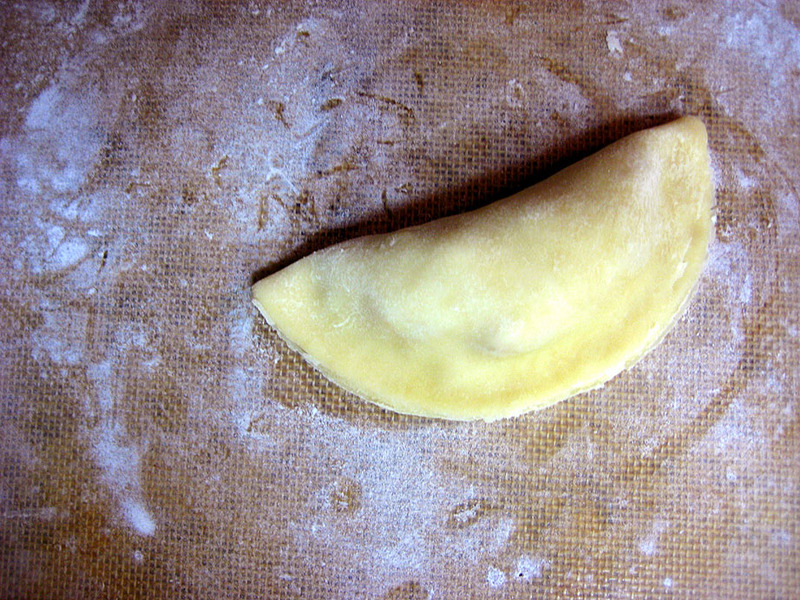 Lay the sealed empanada on your rolling surface and shape the edge however you’d like. A traditional way is to do a sort of braided edge by pinching the edge starting at one corner and folding it over itself, continuing down the side, slightly overlapping the folds as you go. 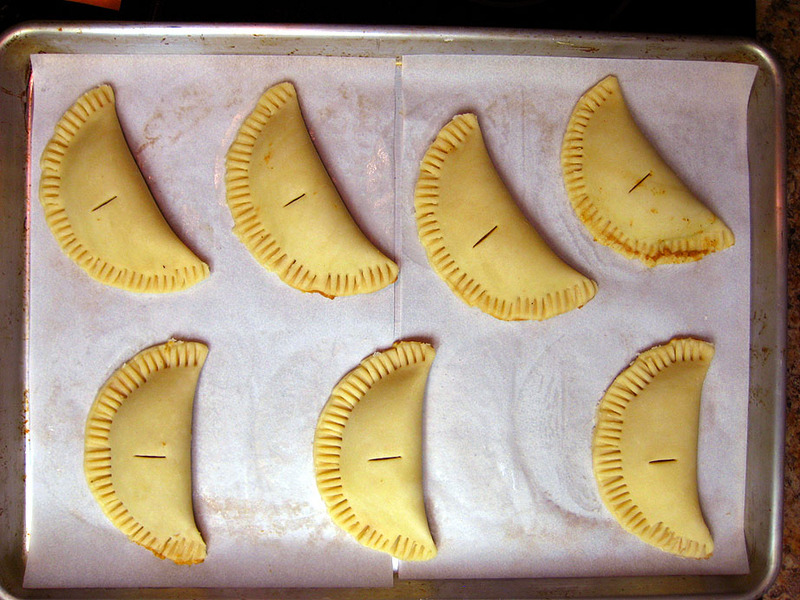 Continue with the remaining empanadas, placing the filled and sealed empanadas on the prepared sheet pan. Cut a small slit in the top of each one to allow steam to escape while they’re baking. 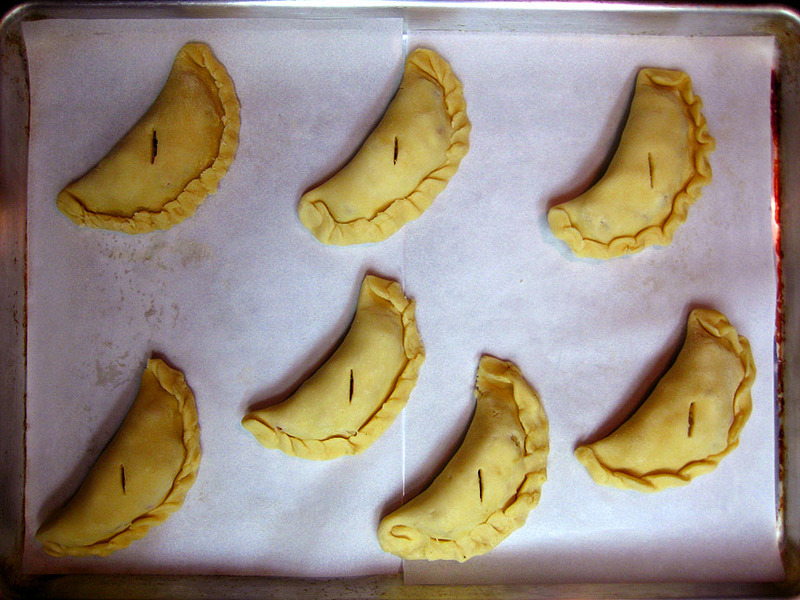 Brush the finished empanadas with beaten egg and bake in your preheated oven for 35 minutes. The empanadas should be golden brown; if they’re not as brown as you’d like, just leave them in for a few more minutes, checking on them occasionally. 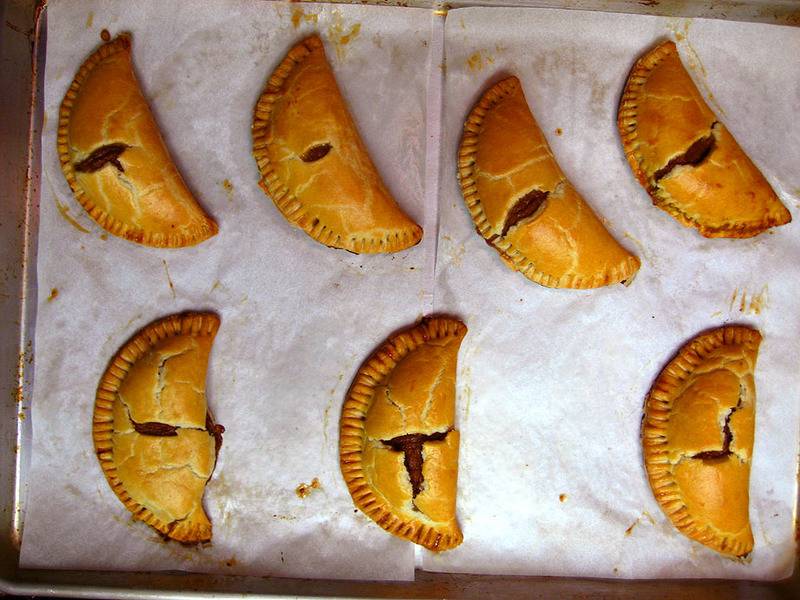 The pumpkin empanadas can be made in much the same way. Combine all the filling ingredients in a medium sized bowl, stirring until smooth, and fill the same way as the chicken empanadas. 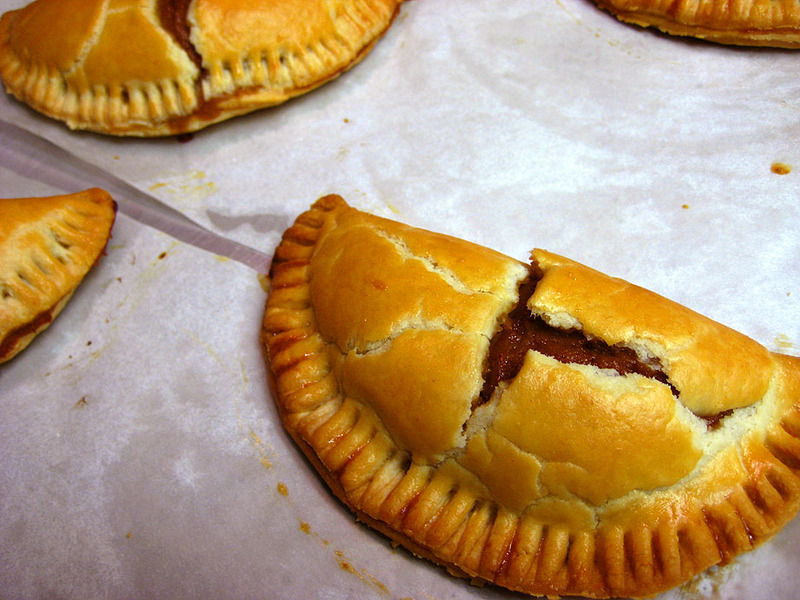 It’s a good idea to crimp the edges of the pumpkin empanadas differently so as not to confuse them with the chicken ones. To make things really simple, once I filled the dough with the pumpkin filling and pressed the edges to seal, I just pressed along the edge with a fork to seal the edge well. 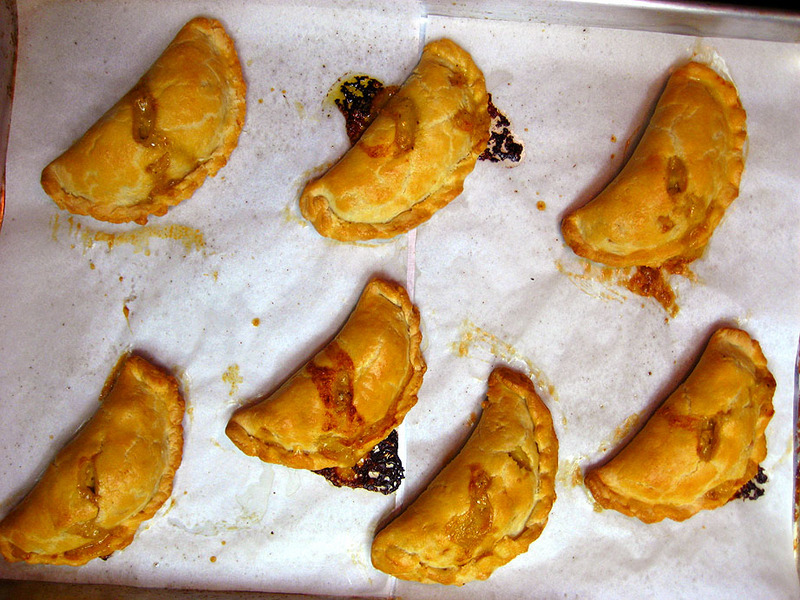 The pumpkin empanadas can also be brushed with beaten egg and baked at the same time and temperature as the chicken ones. 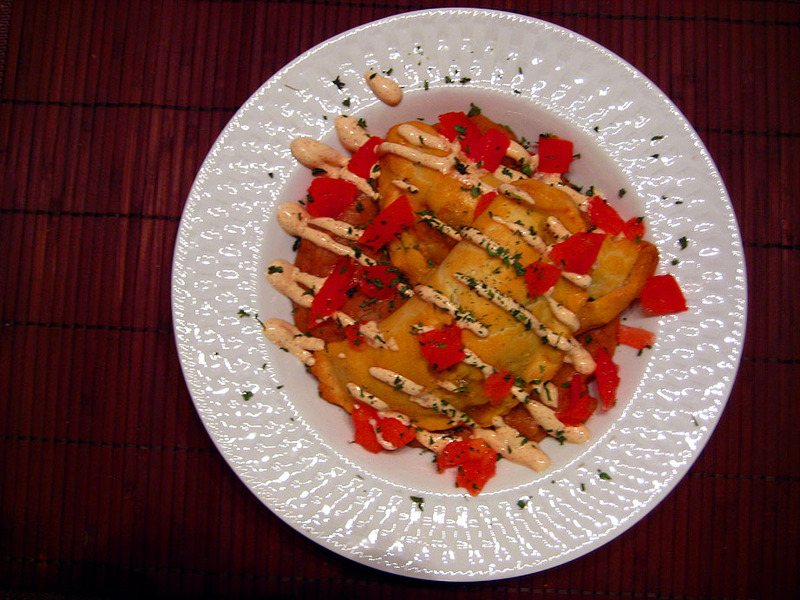 These empanadas can also be frozen before being baked, in the interest of saving time later. Just place the formed empanadas on a sheet pan and place in the freezer until they’re frozen solid, and then put them into a Ziploc bag. Once you’re ready to bake them, put the frozen empanadas onto a parchment-lined sheet pan and brush them with beaten egg. Bake at 375 degrees, adding 5-10 minutes onto the 35 minute bake time, until the crust is golden brown and the temperature of the filling registers 165 degrees on a digital thermometer. 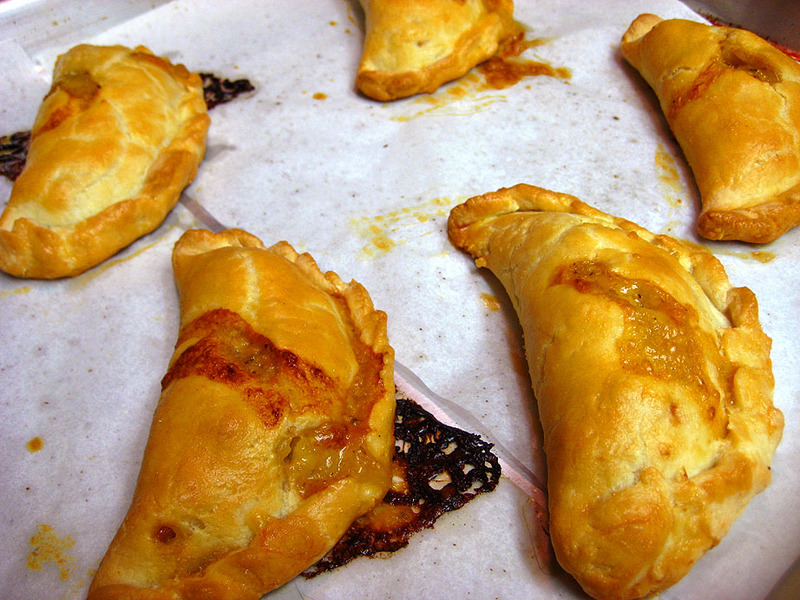 The pumpkin empanadas are great served warm with a scoop of vanilla ice cream and a sprinkling of cinnamon. 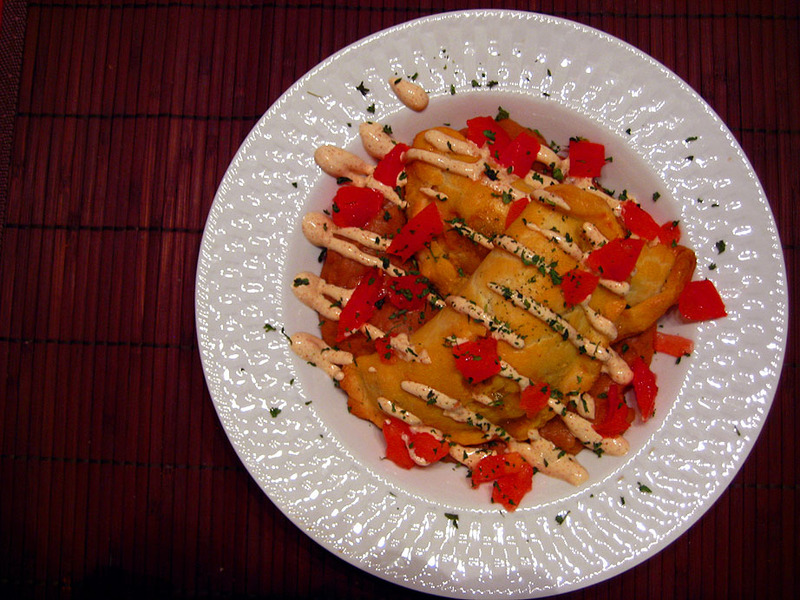 For the chicken empanadas I like to make a simple crema to go on top, and serve them atop some beans with some diced tomatoes on top. The crema is great because it’s smooth and creamy and cuts through some of the spice of the chicken filling. 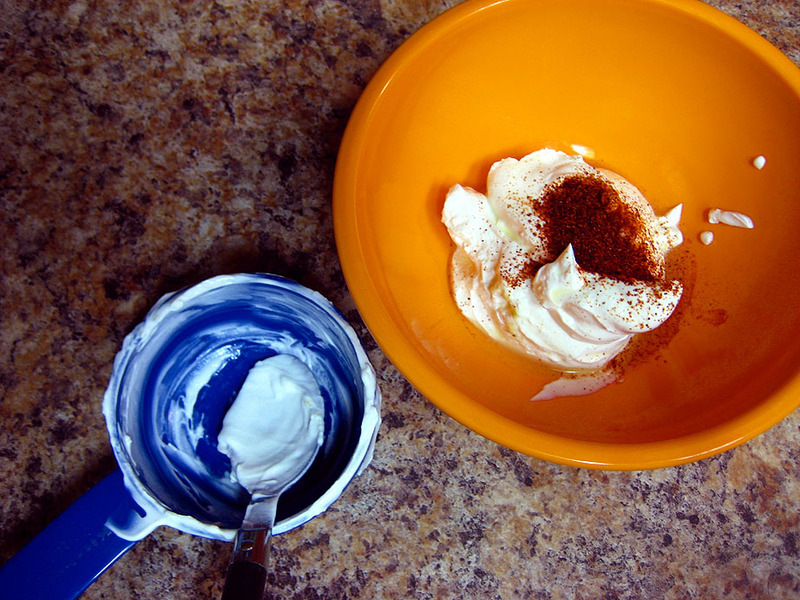 To make it, just stir together the sour cream, lime juice, chili powder, cumin and salt in a small bowl. 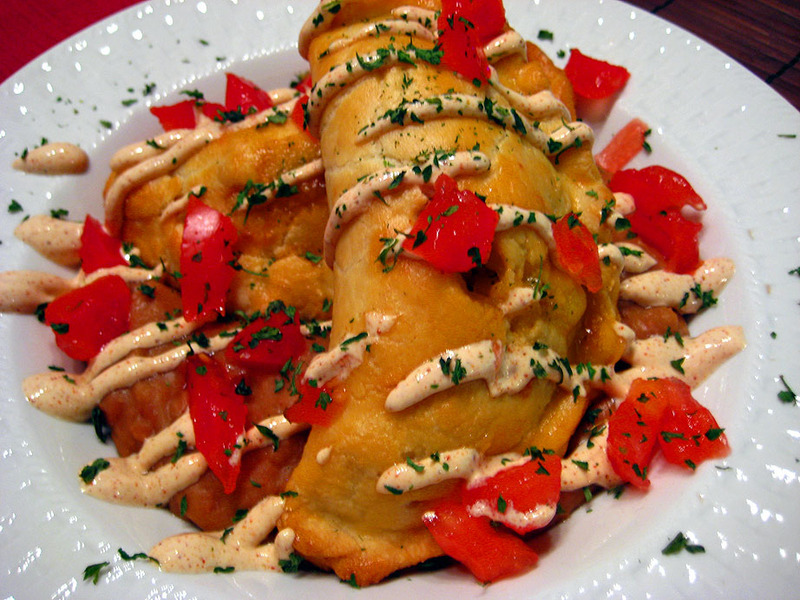 Drizzle this sauce on top of the empanadas, and boom! You have a tasty, simple, filling meal! Both of these empanadas reheat wonderfully as well. Preheat your oven to 350 and place the empanadas on a sheet pan, and bake them for 10 minutes or so until the filling is hot and the crust has begun to crisp up. Happy eating!